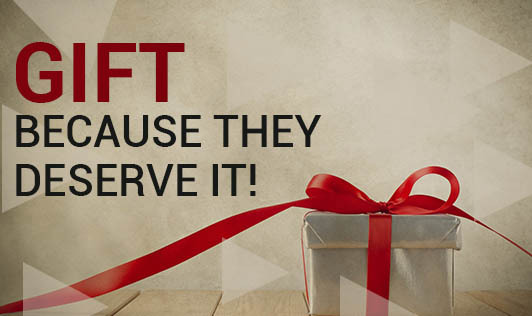 Gift, Because They Deserve It! We all know father is our role model. We treat father with high regards. Father; though the word is of only 6 letters they take a great place in our lives. They do a lot of things for us from the time we are born; our care and fulfilling our needs will be their first priority. Irrespective of their earning they try hard to fulfill our needs by sacrificing their necessity. The list will go on if I have to write. Here there is a chance for you to give back something to your father. Other than his birthday there is one more day that you can celebrate for him is "father's day". It is celebrated on June 17th this year. For a father the best gift is children successful professional and personal life. They would like to retire at that point. Make their life more interesting at their retirement. For many fathers who have school going children would expect their children to be good in academics/sports/art. Gift them with respective expectations. For children who feel cant fulfill those needs, confess in front of your father so that he can help you in solving it. 1.A gift box which includes pen, card, personal dairy or a shirt, flowers, pen stand. You can make your own gift box too. 2.An electronic device like mobile, pen drive, notebook, mp3 player etc that can suit them. 3.A restaurant deal of a candle light dinner, lunch/dinner at a lovely restaurant. 4.Send him for a holiday trip if he wishes to go alone or with friends. 5.Healths check up in a hospital. 7.Gift him gym equipment or walking shoe. 9.A shaving set or a suit or a set of belt, wallet and a tie. All these are materialistic gifts, there is more than all these that you can give him - love, relaxation, peace. This will happen only if you take care of them like the way they did when you were a child. Spend time with them, take them out, take care of them, and fulfill their needs. If you have a child who is below 8 years, mother can get a gift for husband. Let your kid gift it to your husband. Gifting is a great practice, teach your child.